Many family law attorneys promote their aggressive approach to representing clients, reinforcing the message that assertiveness is the key to "winning" a divorce or custody dispute. From the law firm of Janet L. Goehle, Attorney at Law, in St. Paul, Minnesota, we believe that the art of negotiation is infinitely more valuable to family law lawyers and their clients than a penchant for being pushy. More than 30 years of legal experience devoted to family law matters confirms this belief. Whether you need a lawyer to help you navigate the complex matters of divorce, child custody, child support, or to modify an existing divorce decree, we operate from the philosophy that effective legal representation is not synonymous with mindless aggression. In fact, as a general rule, family law issues are resolved more efficiently and cost-effectively through mediation and negotiation than they are through aggressive litigation. Attorney Goehle is a state-certified alternative dispute resolution (ADR) "qualified neutral" and early neutral evaluator (ENE). In this role, she serves as a neutral third party who facilitates agreements between divorcing couples or parents who are not married. (She does not represent someone for whom she is serving as a neutral). 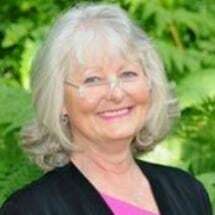 Whether representing a client or serving as a third-party mediator in a divorce or custody dispute, Janet L. Goehle, Attorney at Law, effectively facilitates a cooperative spirit by listening to all of those involved, preventing negotiations from getting explosive, and taking a proactive approach to dealing with the emotions that cause flare-ups and stalemates. By helping you place the priority on achieving whatever is in the best interests of your children, our law firm helps you develop an agreement that decreases the emotional wear and tear of your divorce or custody proceeding and creates a solid blueprint for the future – for you and your children.